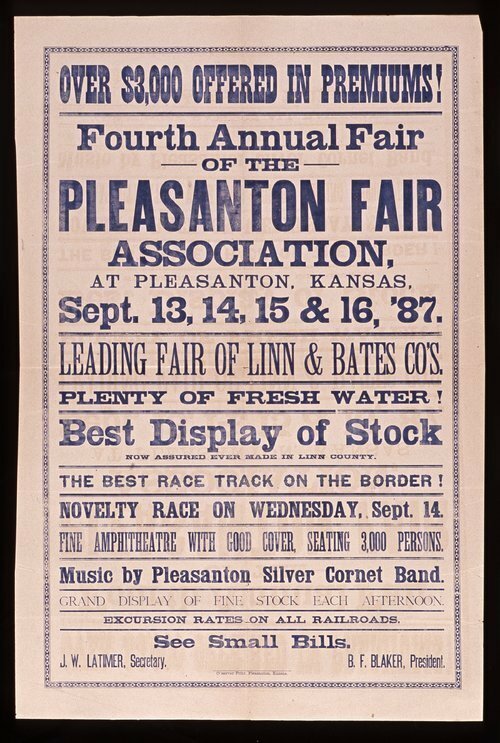 This poster announces the fourth annual fair at Pleasanton, Kansas, sponsored by the Pleasanton Fair Association. Highlights of the fair include $3,000 in premiums, plenty of fresh drinking water, racing, and music by the Silver Cornet Band. The poster notes that this is the leading fair of Linn County, Kansas, and Bates County, Missouri.